The United States is losing the war against an enemy it has misunderstood for decades. Al Qaeda, the Islamic State of Iraq and al Sham (ISIS), and the Salafi-jihadi groups that threaten the United States are stronger, smarter, and more resilient than they were on September 11, 2001. Americans have confused tactical successes on the battlefield against ISIS and al Qaeda with progress in this war. They have narrowed their understanding of the threat to faraway and compartmentalized fights in the Middle East, Africa, and South Asia, and to the random acts of inspired violence conducted by “lone wolves.” Yet 16 years after going to war, the US is even further away from winning. 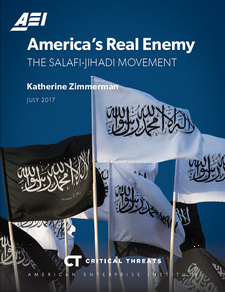 The Salafi-jihadi movement—not simply distinct groups or individuals—threatens the United States, the West, and Muslim communities. The movement draws strength from its ideology, which helps to unify and band together a network of individuals, groups, and organizations seeking a shared global outcome: destruction of current Muslim societies through the use of force and creation of what they regard as a true Islamic society. This network is the Salafi-jihadi base and constitutes the primary source of strength for al Qaeda and ISIS. New groups would form from the movement if the existing ones are ever destroyed. This corporeal manifestation of the Salafi-jihadi movement is the proper target of American efforts in this war. The Salafi-jihadi ideology, which has existed in its current form since at least the 1960s, holds that it is the duty of every true Muslim to use force to reestablish a caliphate as it existed in the early years of Islam. The ideology provides a strate­gic political-military doctrine for members of the Salafi-jihadi movement. It transcends any single individual or group. The inherently global nature of Salafi-jihadi strategic objectives means that it is impossible to disaggregate the movement and defeat only those parts of the base that are attacking the US directly—although this is precisely the US strat­egy. Local victories for Salafi-jihadi groups advance those of the global movement. The different compo­nents of the Salafi-jihadi base are linked: Even those that eschew attacks against the US contribute to the strength of the ones focused on such attacks. The US cannot defeat the global threat without defeating the localized groups. The movement’s current strength stems from its relationship with Sunni communities. The Salafi-jihadi movement has always focused on win­ning over those groups so that they willingly accept and support its ideology. But only recently has it had success within those communities that might trans­late into long-term gains. Uprisings that began with the 2011 Arab Spring and spread elsewhere created conditions that drove popular support to Salafi-jihadi groups. The upheavals, initially caused by popular grievances against existing states, began to damage societal order in those countries. As conflict spread, Sunni populations came under threat, real and per­ceived, from the Shi’a, Kurds, anti-Islamist factions, Russia, and others. To defend against these threats, Sunni communities became willing to accept the presence of and, in some cases, support Salafi-jihadi groups. The United States cannot kill its way out of this war, nor will it defeat the movement by countering its ideology or messaging. The Salafi-jihadi move­ment is stronger today because current conditions in the Muslim world have induced Sunni communi­ties to accept help from whoever offers it in order to survive. The movement’s strength stems from its relationships with the population, which Salafi-jihadi groups will continue to cultivate as long as current conditions persist. The Salafi-jihadi movement focuses on people. To win, the United States must also focus on the people in order to break the existing ties between the Sunni populations and the Salafi-jihadi base. Concentrating on people is the only path that will lead to victory. America is losing the war on terror, yet many Americans think the United States is winning. The fact that there has been no attack on American soil on the scale of 9/11 has created a false sense of security. Dismissals of Orlando and San Bernardino as “lone-wolf” attacks further the inaccurate narrative that al Qaeda and the Islamic State of Iraq and al Sham (ISIS) are somehow “on the run.” According to senior American officials for at least seven years, those groups have been “on the run”—a “fact” that in itself demonstrates the falsity of US pretentions to success. Tactical successes on battlefields in Iraq, Syria, and Libya add further to the illusion of success. But if 16 years of war should have taught us anything, it is that we cannot kill our way out of this problem. To start winning, Americans must redefine the enemy. A global movement—not individual groups, not an ideology, and certainly not poverty—is waging war against us. This movement is the collection of humans joined by the Salafi-jihadi ideology, group memberships, and common experiences into a cohesive force that transcends the individual or the group. Al Qaeda is but one manifestation of this decades-old ideology and movement. The global Salafi-jihadi movement was and remains more than just al Qaeda—or ISIS. It consists of individuals world­wide, some of whom have organized, who seek to destroy current Muslim societies and resurrect in their place a true Islamic society through the use of armed force. America and the West have no chance of success in this conflict unless they understand that this movement is their true and proper adversary. The need is urgent. Al Qaeda, the Islamic State, and the global Salafi-jihadi movement together are stronger today than they have ever been. 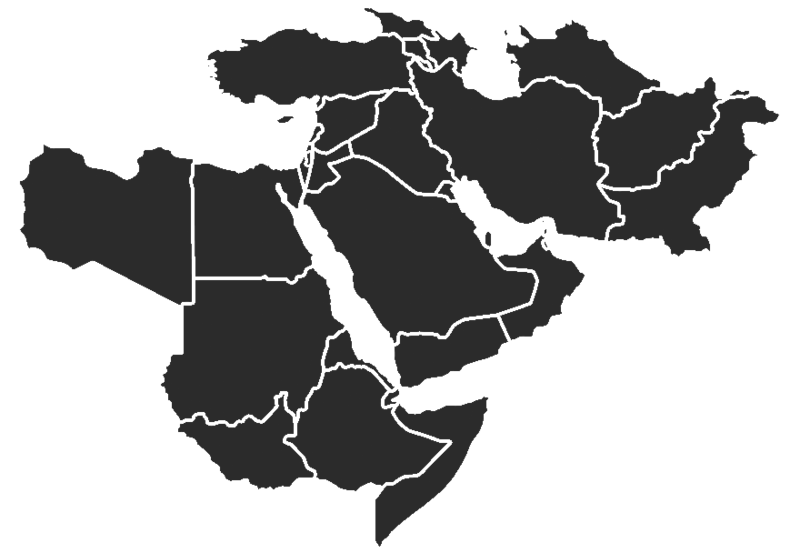 Salafi-jihadi groups are active in at least six failed states (Iraq, Syria, Yemen, Somalia, Libya, and Mali) and four weak states (Afghanistan, Egypt, Tunisia, and Nigeria). They provide governance by proxy or control territory in at least half of these states. Both ISIS and al Qaeda pursue deadly attack capabilities to target the West, as the terrorist attack in Manchester once again demonstrated. Europe and the American homeland face an unprecedented level of facilitated and inspired terrorist attacks. This situation is not success, stalemate, or slow winning, and still less does it reflect an enemy “on the run.” It is failure. American counterterrorism strategy has not fundamentally changed since the US attacks against Afghanistan after 9/11. Presidents George W. Bush, Barack Obama, and now Donald Trump have focused on militarily defeating groups through a combination of targeted strikes and operations to deprive them of particular terrain they control. Bush and Obama made limited efforts to counter Salafi-jihadi recruiting efforts, but with no effect. All these efforts have focused on attacking narrowly defined groups and the individuals associated with them. Apart from the limited experiments at serious counterinsurgency in Iraq and Afghanistan, all three presidents have sought to kill their way out of the problem. None has recognized or addressed the global Salafi-jihadi movement as the real threat, and none, therefore, has taken any meaningful steps to confront it. The use of US military force against select groups generates effects, to be sure. But the effects are temporary, and hard-fought wins evaporate rapidly because the Salafi-jihadi ideology provides strategic doctrine for organizations globally that persists beyond the destruction of any collection of individuals. Shared experiences on the battlefield, in training, in captivity, and elsewhere build human networks that transcend organizational relationships. These experiences are also laboratories in which Salafi-jihadis improve their means and methods. The deep resilience of the movement resulting from this overarching doctrine, shared experiences, and global nature is why the US continues to lose this war. Salafi-jihadis believe that participation in armed con­flict to create a true Islamic polity is obligatory for all true Muslims. The theological underpinnings of Salafi-jihadism have existed since at least the 13th century. The Islamist movement that began at the end of the 19th and carried into the 20th centuries resurfaced these arguments, which Muslims largely rejected as extremist or, in some cases, heretical. Some point to these facts to argue that the prob­lem is inherent in Islam—some even go so far as to say that Islam itself is the problem. Such arguments must ignore long periods of history during which Muslims concerned themselves with their own affairs, often more peacefully than their Christian brethren in Europe, and certainly without making serious efforts to attack the West. Others now argue—also wrongly—that the move­ment’s current strength reflects some fundamental change in its character or manner of presentation. Today’s Salafi-jihadi movement is not a new phenom­enon nor has its ideology fundamentally changed in recent years. Adaptions in the messaging of that ideol­ogy, its placement into colloquial language and distri­bution through new mediums, are only new means of distribution and not reasons for the expansion of the Salafi-jihadi movement. Al Qaeda put the ideology on the internet with the late cleric Anwar al Awlaki, and ISIS weaponized social media, but the global move­ment is also strong in areas without internet penetra­tion. The message itself and the groups propagating it have hardly changed in the past decade, yet its for­tunes have risen dramatically since 2011. We must look elsewhere to understand why the movement is growing in strength today. Part of the explanation is that the movement is learning from its failures and mistakes. The modern Salafi-jihadi movement formed during the Afghan jihad. This fight, and the ones that followed, provided experiential learning that refined the movement’s stra­tegic thought. Salafi-jihadi groups coalesced repeat­edly after Afghanistan—in Algeria, Bosnia, Tajikistan, Somalia, Egypt, Chechnya, again in Afghanistan, and then in Iraq—but each time remained isolated. The movement took those lessons to heart. Salafi-jihadi leaders know that the movement’s strength derives from its relationship with the Muslim community. The movement seeks to conduct a global insurgency, a task that requires popular support—or at least toleration—to end its isolation in the Muslim world. Its leaders have focused on the relationship with that community for decades, but prior efforts to engage were either futile or short-lived. Local Sunni communities rejected Salafi-jihadi ideology repeat­edly. The ultra-conservative interpretation of Islam ran afoul of local custom, of local Islam. The call to vio­lent jihad lacked resonance. Coercive tactics backfired, and the introduction of new, alternative systems of governance proved reversible. The failed Salafi-jihadi leaders generally died. Those who have survived have learned lessons from all these encounters. However, the real reason for the current success of the Salafi-jihadi movement is the transformation of conditions in the Muslim-majority world since 2011. Events outside the movement’s control removed a primary obstacle to its ability to build local support, by mobilizing Sunni communities in local, national, and regional conflicts that caused and resulted from the Arab Spring. Dissatisfaction with governance across the Middle East and North Africa gave rise to popular uprisings that destabilized neighboring regions and spiraled rap­idly into a Hobbesian state of nature in many places. Domestic conflict in many states shifted rapidly from a question of political rights to one of individual or communal survival. The movement, whose leaders had studied prior setbacks for how to improve, was primed to offer help to communities that suddenly felt themselves facing existential threats. It gained acceptance at a basic level simply by providing limited amounts of governance and security in places where governments and security forces had either col­lapsed or become enemies of the people they ruled. The Salafi-jihadi movement thus brilliantly seized an unexpected opportunity and is now positioned where it has never been before in its decades of existence: at the cusp of widespread success. American counterterrorism strategy has ignored these transformations almost completely. It remains focused on disrupting or destroying external attack nodes, reducing the military strength of select groups, and killing group leaders. American policymakers’ efforts to reduce the war to a targeting drill requires misdefining the enemy: It is possible to target indi­viduals or networks, but not a movement. The ele­ments of American power now operate against merely a fraction of the movement. They may destroy that fraction, but will not destroy or even defeat the move­ment itself. The US must develop a new strategy to counter the movement as a whole—not just al Qaeda, ISIS, or even local groups that seemingly present the greatest threats. The strategic focus on only components of the movement—from al Qaeda to ISIS to the ideol­ogy—has been misplaced. A strategy must be based on an understanding of the Salafi-jihadi movement from its ideology to its military strengths to its pop­ular outreach and governance. It must proceed from an understanding of why the movement has gained strength recently after foundering for so many years. It must start by redefining the enemy at the most basic level. Currently receiving 0 of 18 possible notifications for this sort of content.